SOLOTVYNO : "SALTY CORNER OF ZAKARPATTIA"
NieznanaUkraina.pl / Articles, Municipalities / SOLOTVYNO : "SALTY CORNER OF ZAKARPATTIA"
In today's article can State Solotvyno or Solotvino, small mieścinę located on the outskirts of the Ukrainian-Romanian "Zakarpacia". 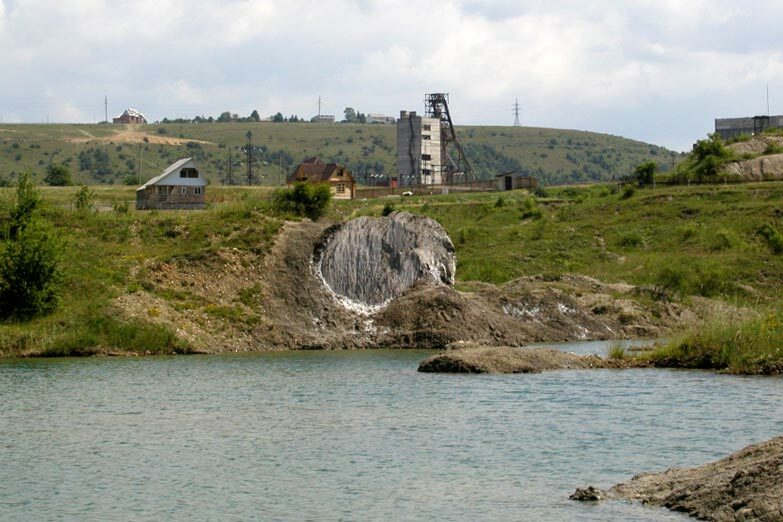 This is a small area of the Ukraine "salty", and because of the large quantities of salty little Lakes - You can even say "Dead Sea" in Ukraine ! 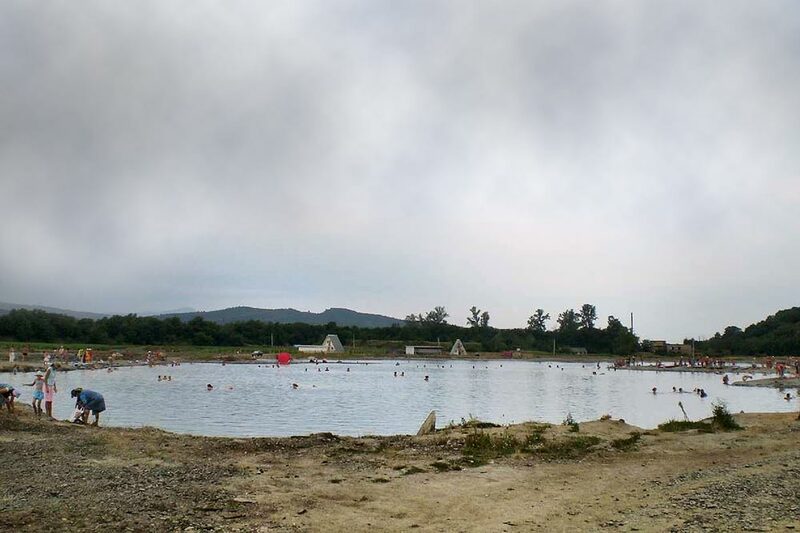 Former powerful Župa, who belonged to various kingdoms, who remembers the various kings and rulers, which attracts crowds of kuracjuszy due to the unique properties of medicinal salt stone, … waits for a Member ! 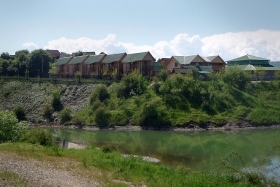 Unique klimaty Ukrainian Zakarpacia: multiculturalism, kitchen, landscapes and views, wine, fruit, spicy sausage, Ukrainian Carpathians, as well as Soviet gigantomania industrial, salt ponds and medicinal cellars, … all this in only Sołotwynie ! Solotvyno, or Solotvino (47° 57 '20 "N, 23° 52 '16 "E), urk. Солотвино (Марамороське Солотвино, Солотвин), rom.. Ocna Slatina, węg. Faluszlatina / Aknaszlatina, Slavic. Selo Slatina / Slatinské Doly, in German. 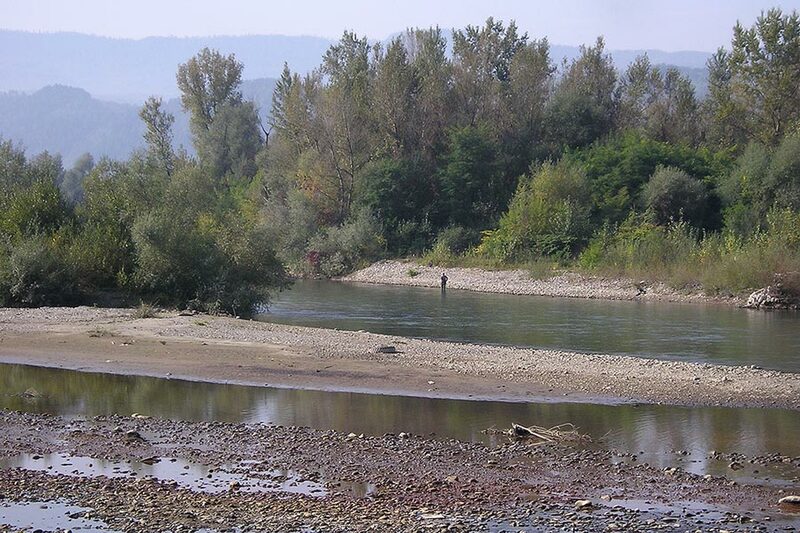 Salzgruben – This is a type of urban, located on the right bank of Cisy at height 283 mnpm. in the Valley Marmaroskiej in Districts. 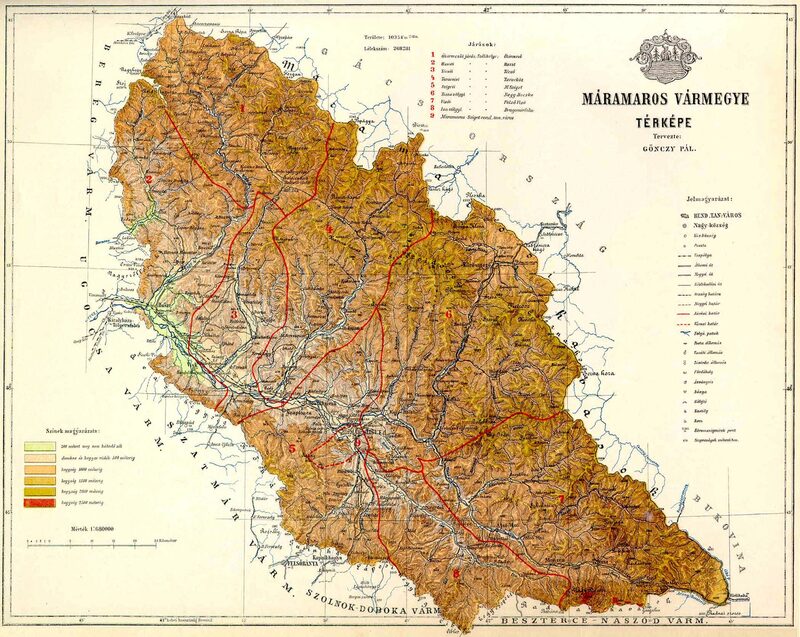 It lies on the circumference of the Transcarpathian regions, in The Tiaczowskim. 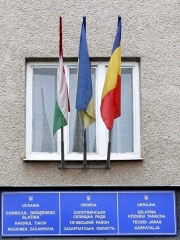 Solotvyno It is the largest Romanian village Districts. 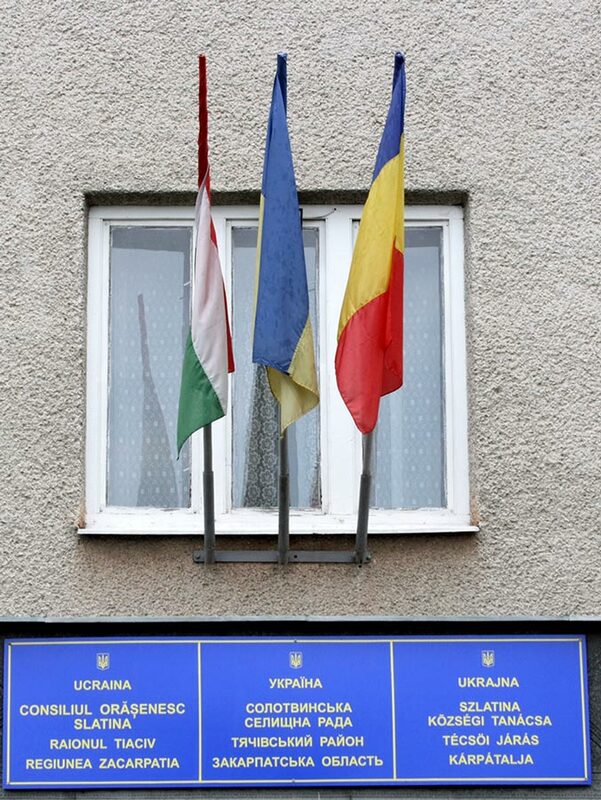 Romanians are a sufficiently large part of the inhabitants, that justifies this multilingualism town (As in Berehowo languages Ukrainian and Hungarian). By Solotvyno currently runs the railway line from Tereswy to Wełykoho Byczkiwa, and the road is a regional batteries R03 from Mukaczewa to Rohatyna . A decisive influence on the development of Sołotwyna had and have large deposits of salt, which were already exploited in antiquity. Traces of settlement in this area (These are two grodziska, West of the city) they come already with the I-II century BC. ! 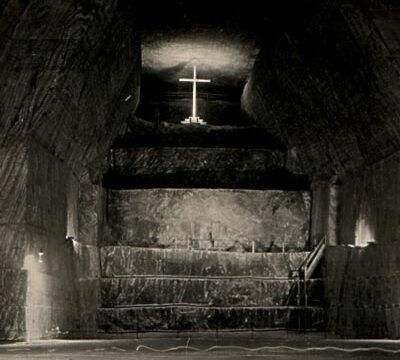 While today's Solotvyno was founded in the 13th century. The nearby neighbouring villages Aknaszlatina and Faluszlatina after World War II were combined into one settlement. 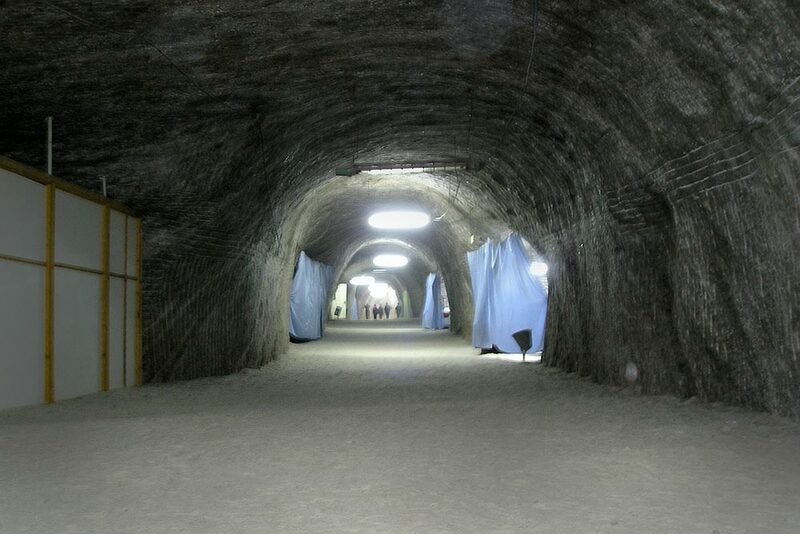 Industrial salt mining began in the mid-18TH century and continues to today – currently it The State-Owned "Ukrsolprom". At the height of the period – in years 70. 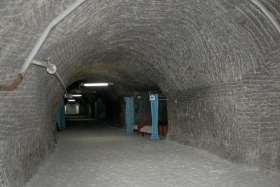 Twentieth century – extraction of salt up to here 451 k. tonnes per year and constitute 10% production throughout Ukraine. Now extract is several times lower. 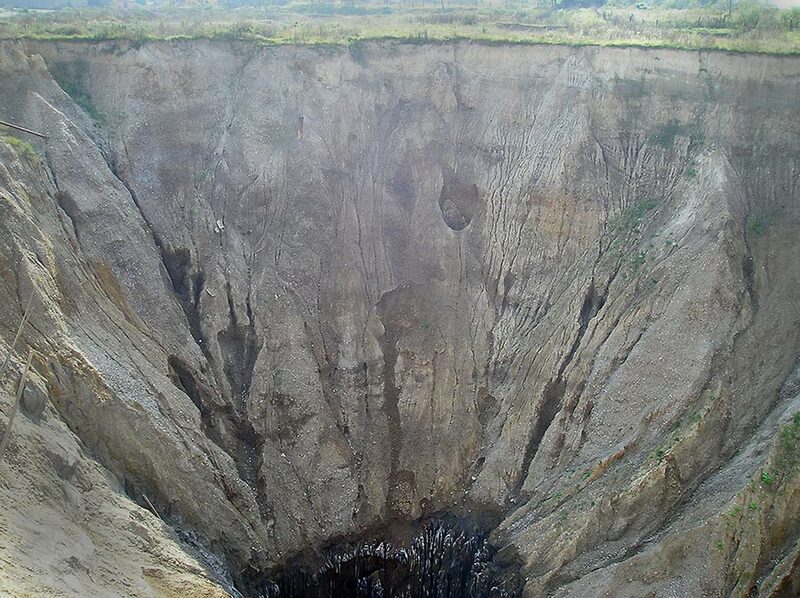 Salt deposits is estimated at 30 million tonnes, (a) the volume of the entire sołotwińskiego of hydrochloric a few km3 !! 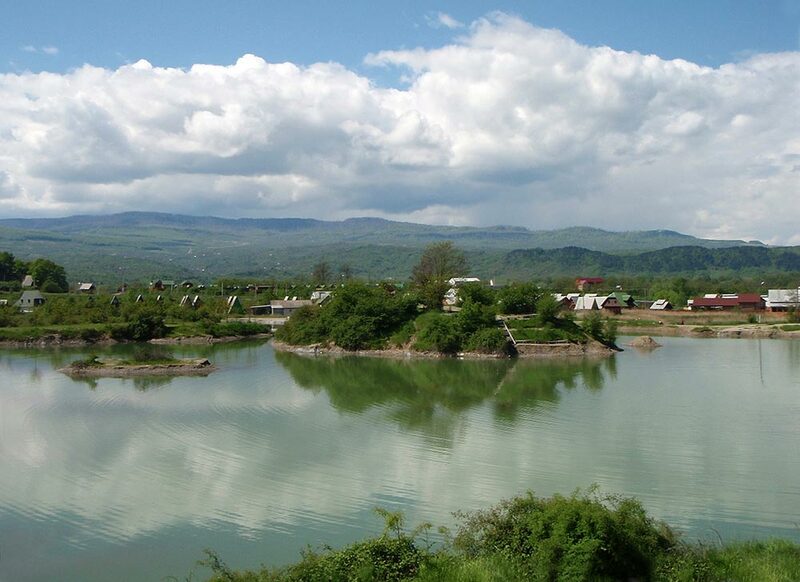 To the West of the city are natural salt lakes, ponds … used for recreational and medicinal. Up-to-date information (2015) : in Sołotwyno since a few years there are environmental problems, in this connection, the sanatorium has ceased to exist! In an abandoned mine and No 9 working Nr.8 unique in Europe, underground sanatorium. 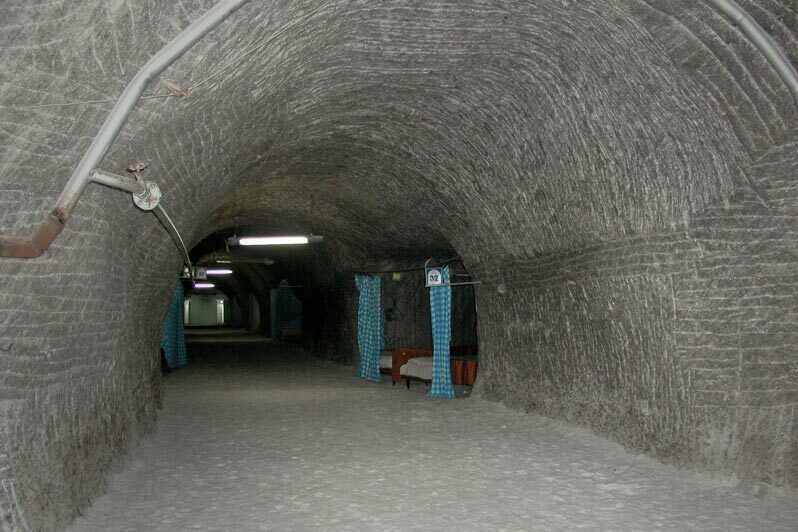 Powerful constructions of the salt mine of stone and glass, tunnels, corridors of the underground, are converted into the only Ukrainian sanatorium alergologiczne. 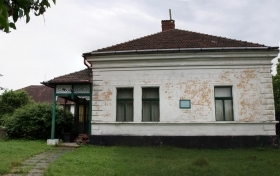 Operates at the sanatorium service of the Ukrainian Academy of Sciences, a survey of medicinal this unique place and examine radiation. Are here treated allergic diseases, affection of the respiratory tract, and, in particular asthma. In major corridors were deptaki, Dear childrens ', number of berths and inhaled. Every year in different cities of Ukraine and former USSR, are sliding down to thoroughly in order to the rehabilitation and improvement of health. In addition to medical research, Service Science is investigating various radioactive anomalies. Sea mines Nr. 9, It quoted one of the clearest things radioactive is double Beta-decay of nuclei of cadmium-116 and tungsten-180. Here in the times of Soviet designed and wynaleziono a number of detectors of radioactive. The work is the Institute of nuclear research of UAN. Currently, The Ministry Of Health Of Ukraine, resumed grants and funding of the sanatorium underground. 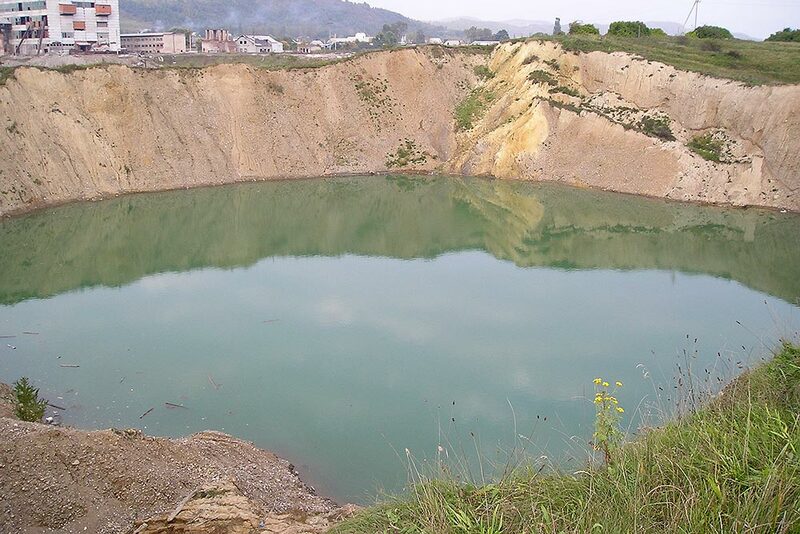 The only threat to the mine and surrounding villages are karstic processes, you are in the mine shafts. The result of long and intense exploitation of stone, There has been a huge system of underground passages. In rezultanie filling the corridors with water, There is a powerful tąpnięć. 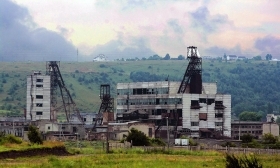 The Last, the largest, There has been 22 December 2010, When the result of the collapse is a composite of the mine is "went under the Earth" 3000 cubic metres of land ! 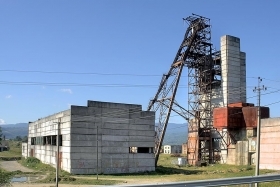 Since that time intensive tasks are carried out preventive action, also decided to withhold mining. As you know salt is one of the largest sources of potassium and chlorine ! In Sołotwynie there are numerous Salt Lake. 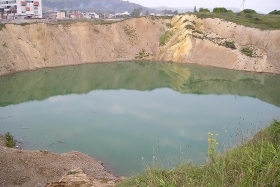 Some are naturally, the effect of brine to proceed on surfaces, other resulting from the operation of odkrywkowej salt stone, a third effect "tąpnięć Earth", transfers of land (mining damage). Salty water was zasala the ground, where in some places form small deserts. Marsh vegetation around the Lakes create specific climate this place. Tourists and thoroughly routed through long distances for the immersion of his body in the local salt waters. Here there are both small and large ponds. 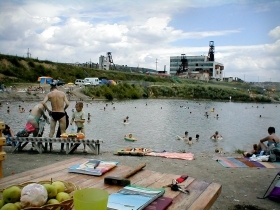 (A) during the summer clearly increases the number of visitors. The local population earns, and persists with people coming, like the extractive industry is. The resulting need to transform the structure of the city, guesthouses, hoteliki, motels and resorts. Salt meshes have for tourists and industrial, evolved in amenity ! In addition to the unique views, Carpathian landscapes, coast of Cisy and spirit "zakarpackiej cultural distinctiveness" you can find a lot of exciting Sołotwynie. 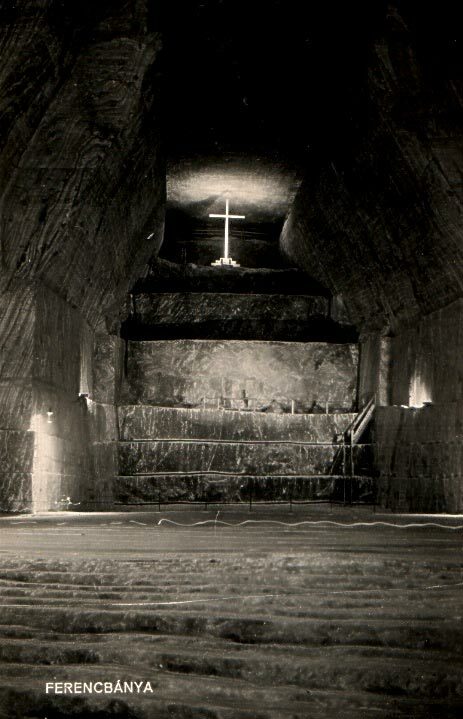 For lovers of the views of the sites and mining operations, interesting will be closed mines salt stone, abandoned buildings kombinatów and mining shafts, and also flooded salt mines of surface mining (in the Słowotwynie salt has been mined both by głębinową and either surface). But for lovers of folklore and krajoznawstwa, It is to go to the Museum and learn about the local wielokulturową and multinational population. 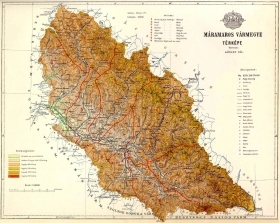 The mieścinę inhabit the vast diaspora of Romania, It has a bilingual status. 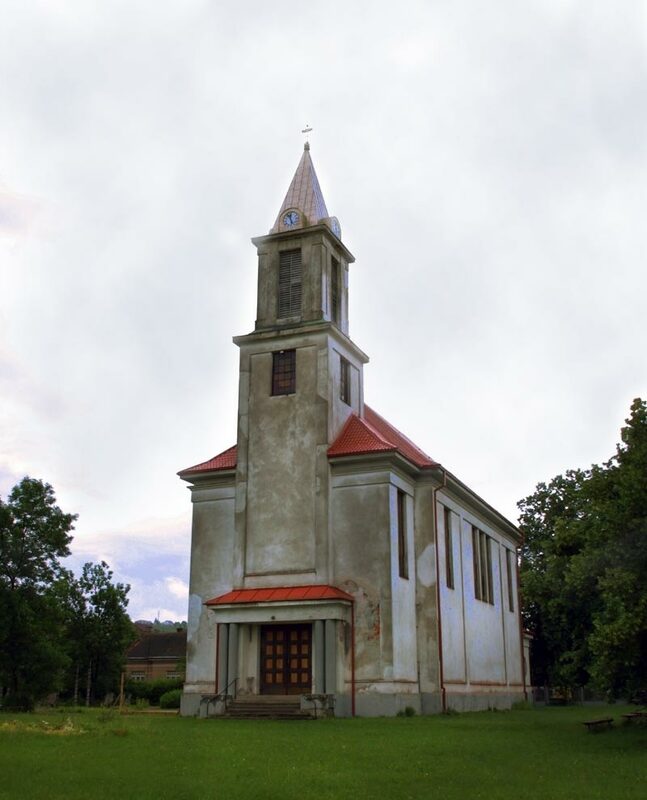 You should also visit the small church and the extensive districts of sanatoryjno-pensjonatowe. 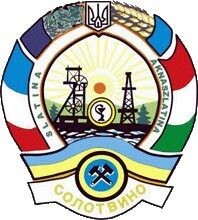 Of course, as the Zakarpattia Oblast in every corner you can buy local wine to private vineyards and taste the local cuisine. Solotvyno is village uzdrowiskową, for cars, (a) infrastructure is adapted to the needs of the kuracjuszy. 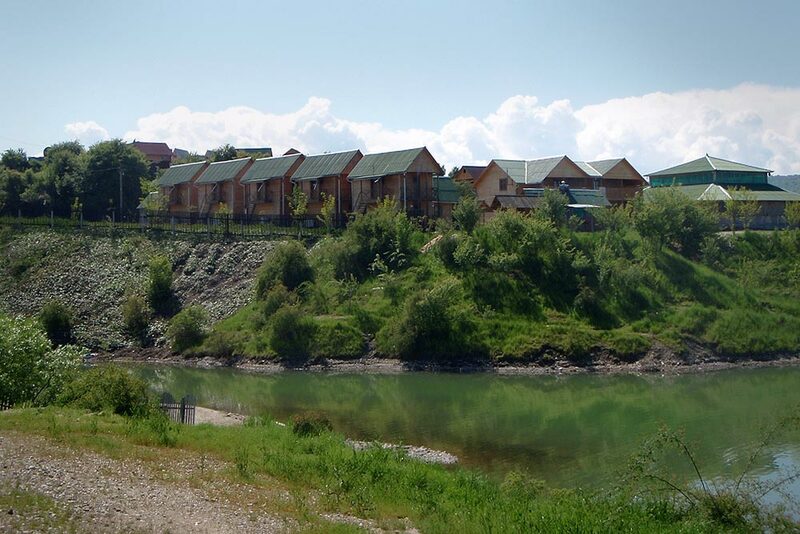 Solotvyno can also be used as: base in the Carpathians and Romania, tourist accommodation, a connecting service and handling during travels after Districts. 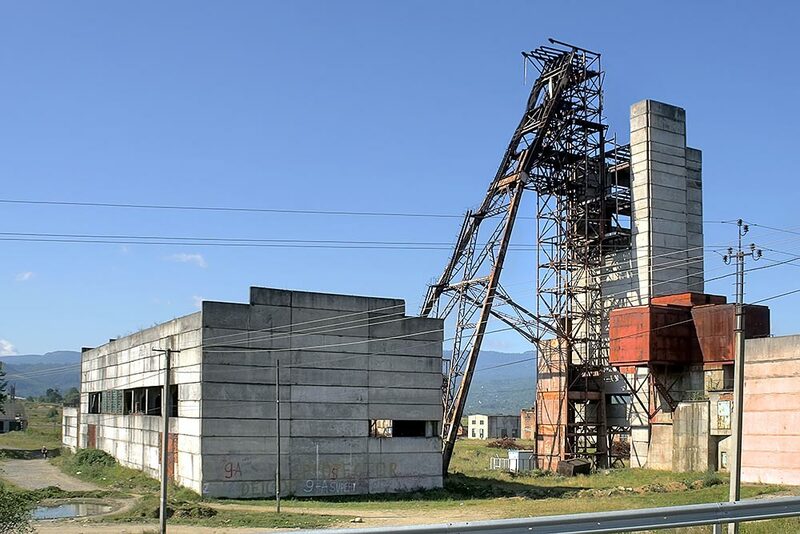 For lovers of the history of railways in the Carpathians, the history of industry in the Carpathians, history and architecture of Zakaracia and relationship ukraińsko-Romanian – stay in Słotwynie will be a great experience and expertise. Now this is interesting and fascinating place ? 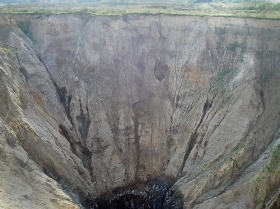 Solotvyno are "DEAD SEA UNKNOWN UKRAINE" ! It is worth to visit this mieścinę and try the "poleżeć on salt water", who has the unique medicinal properties ! This information is long out of date. 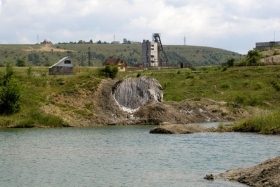 In ecological disaster was Sołtwyno, mines was flooded with water and sunk to form on the surface of the great spas for over 1, 5mln m3 grunktu and destroying part of the village. Experience pure relaxation for the underground has ceased to exist. Thanks for the up to date info. It's no wonder, the article is from 2011 year.